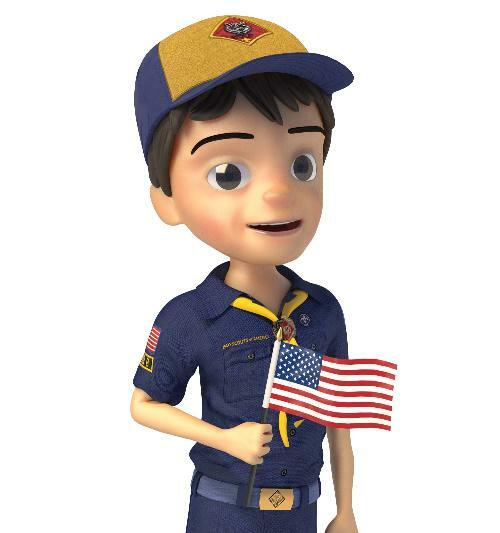 Cub Scouting offers elementary school-aged boys and girls opportunities for fun and challenging activities year-round. The program's goals are to help the youth with character development and physical fitness through service and fun. Family involvement is essential and parents are encouraged to play an active role in the program. Aside from regular den and pack meetings, some of the events available to the scouts are: Cubanapolis, Yukon, Blue and Gold Dinner, Scout Sunday, Scouting for Food, Summer Camp, Webelos Woods, STEM weekend, Scout night at a Bees game with a chance to campout in the outfield, and the ever popular annual Pinewood Derby. Our Pack is in the Mississippi Valley Council, which is divided into two districts. Our District is the Shoquoquon District. The Pack is organized into separate age groups, called dens. The entire Pack meets once a month, on the third Monday of the month at 6:30pm. It is a time for catching up on announcements, celebrating achievements, and some fun activities. The entire family is welcome to attend and encouraged to come cheer on their Scout as he/she is recognized for achievements. Dens discuss and agree how often they would like to meet in addition to the Pack meetings. Generally, it is another 2-3 times per month. Our Kindergarteners are called Lion Cubs and will get to participate in this new program introducing the them to Cub Scouts. It is required that each Lion Cub be accompanied by an adult partner to all scouting meetings and activities. This can be mom, dad, grandparents, or any caring adult ready to help the Lion in his adventure. The 1st graders are called Tiger Cubs. The Tiger program also requires an adult partner to attend all scouting meetings and events. The 2d graders are called Wolf Cubs. The 3d graders are called Bear Cubs. The 4th graders are called WEBELOS. WEBELOS stands for "We'll be Loyal Scouts." They are beginning their transition to a Boy Scout Troop and working to earn their WEBELOS badge. The oldest age group is in 5th grade and is called the Arrow of Light. They are preparing for their Crossover to a Boy Scout troop in February of their 5th grade year.